When most people think about comedy, the subject of abortion is typically the farthest thing from their minds. That is, unless, you’re a member of the Lady Parts Justice League. 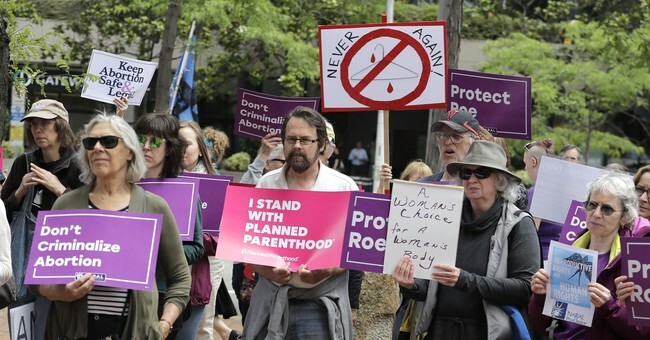 In a recent op-ed appearing in Teen Vogue, Solange Azor describes her radically pro-abortion, grassroots organization as one where participants use their “art to raise awareness about the erosion of reproductive rights.” The Lady Parts Justice League circulates memes, stages protests outside of crisis pregnancy centers, and escorts women into abortion clinics. They’re activists, through and through. But what separates them from other pro-abortion activist groups is, apparently, their emphasis on humor. While the Lady Parts Justice League may have made a valiant attempt to sound noble in its stated mission, young readers of Teen Vogueought to beware. Yes, the group compares itself to Habitat for Humanity, and claims that its’ Vagical Mystery Tour is filled with joy and laughter. But the fact remains that there is nothing even remotely funny or normal, for mother or baby, about the reality of abortion.